As a mum there is a huge expectation that we (unfairly) place on ourselves. There is pressure to be perfect and the list of must do’s and must haves seems to continually increase. As a first time mum (and a second time one too), I fell into the trap of thinking there were only 2 types of mothers. The perfect ones and the failing ones. My daughter had severe reflux, dairy intolerance, cried all the time and never slept. Clearly I put myself into the failing category. What it took me a long time to realise is that none of these were my fault and the important thing was to stop listening to what the internet told me a ‘perfect’ mother was, and focus instead of coping with my situation and being the best mum I could be. In my head my big ‘failure’ was the fact that my baby wouldn’t sleep and wouldn’t stop crying, but for other mums feeding choices and difficulties are often harshly judged. I was one of the lucky mums where breastfeeding wasn’t as issue, however I know many other mothers who didn’t have the same easy time (or made the choice not to breastfeed). While we are all well aware that breastfeeding is the recommended choice, the most important thing is that both mother and baby are happy and healthy. For this reason I have always been on the ‘Fed is Best’ side of the feeding debate, believing that happy healthy families are key. For families who use formula (whether by choice or by circumstance), they have the right to make well informed choices about which formula they choose for their baby. Although there are many varieties on the market, almost all of these have a cow’s milk base. Oli6 Dairy Goat Formula is a new product on the Australian market (Australian owned and manufactured), and is a nutritionally balanced, easily digestible goat’s milk formula. 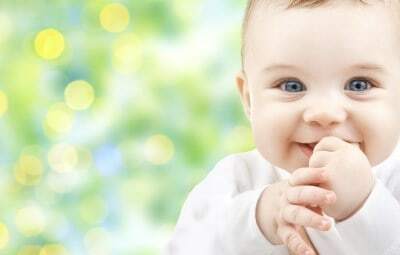 It is closer to breast milk than regular cow’s milk formula. Naturally high in vitamins and minerals. 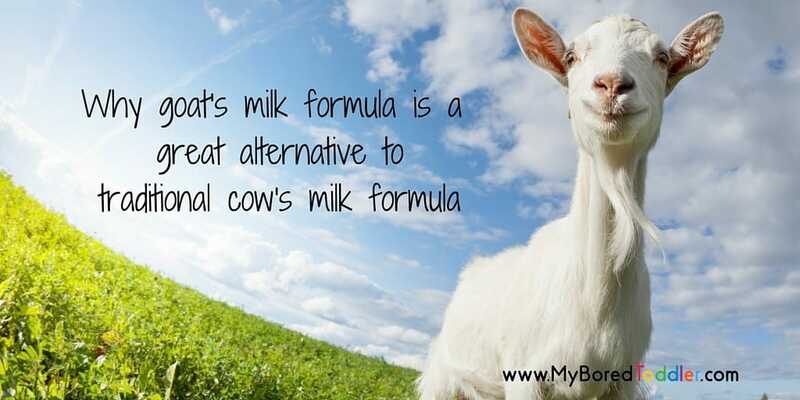 Goat milk formula is a natural source of vitamin A, vitamin C, magnesium and calcium. Goat’s milk formula contains up to six times more prebiotic oligos than standard cow’s milk and its smaller fat globules aid digestion. Neither of my girls tolerated cow’s milk very well and while some children with cow’s milk allergies also have allergies to goat’s milk, we found that goat’s milk was much gentler on their stomach. We slowly weaned my eldest onto goat’s milk rather than cow’s milk, and it’s great that there’s now a goat milk formula option for parents. I really wish this was an option a few years ago. While my girls had issues with cow’s milk and reflux, they were not alone. Galaxy Research suggests that digestive issues affect 84% of toddlers. In our situation these issues caused severe pain and a very upset baby and toddler. Even if your child doesn’t suffer from digestive problems, it’s worth noting that goat’s milk formula is not only for babies with allergies and intolerances. Most mums that I know are keen to find a product which is as close to breast milk as possible, with minimal added ingredients, and Oli6 has undertaken extensive research to ensure that their range is as natural as possible. 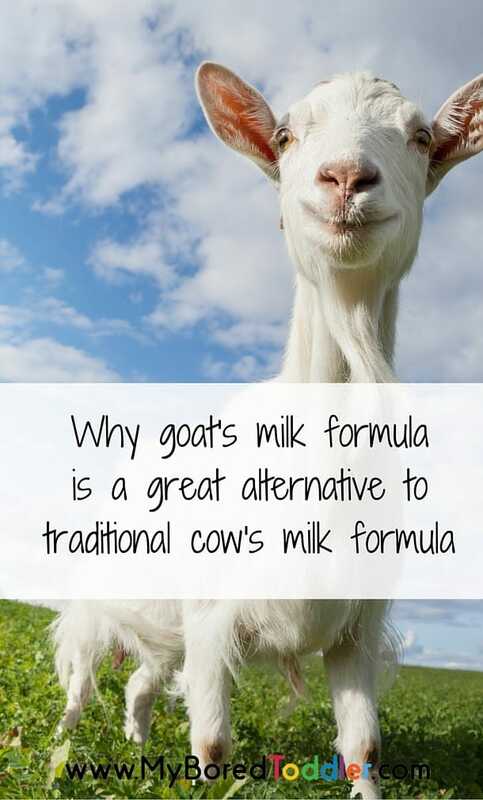 They have limited unnecessary additives that are often found in other types of formula, instead relying on the naturally high vitamins and minerals contained in the goat’s milk. All of the ingredients used meet the strict Australian regulations and requirements and it is produced in Victoria and proudly Australian owned. 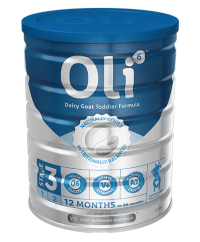 Oli6 Toddler Formula – Stage 3 (12 – 36 months) is nutritionally balanced for fast-growing, active toddlers.